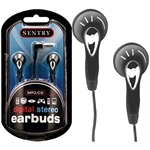 eCameraFilms carries headphones and earbuds from some of the top brands in personal audio, including Sony, Panasonic, Skullcandy, iHome and Sentry. Our online selection features everything from full-size, microphone-enabled headsets for serious gamers to sporty earbuds that are perfect for running or watching an in-flight movie. Because our products come from trusted manufacturers, our customers can count on their durability and quality of sound despite our exceptionally low prices. Be sure to check out the quantity discounts available on each of our products to make wholesale buying as simple as possible. Headphones are an item that everyone uses, and we have options to match every phone, tablet and gaming system, making our products ideal for corporate promotions and giveaways. Shop now and save by buying in bulk! Great for Giveaways, Corporate promotions!